Tonight's meeting was a special occasion for two reasons, the induction of new Rotarians, Kimberly and Sean and a visit by our district governor. 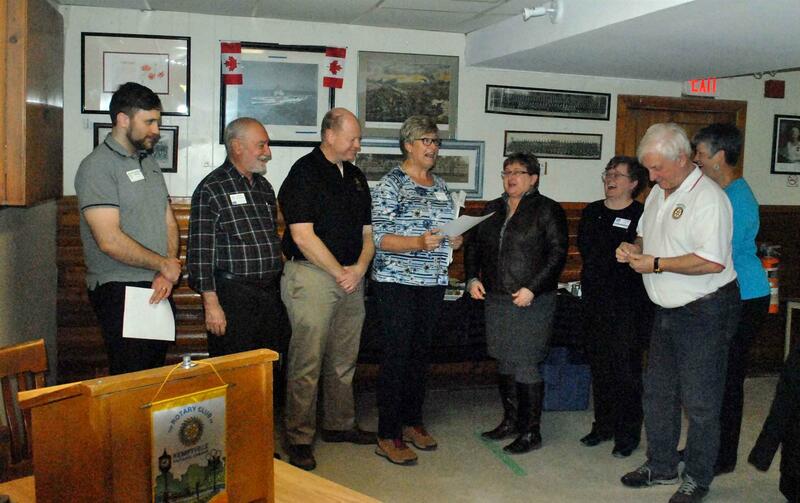 Pictured below, members welcoming Kimberly and Sean into our fold. It appears that there was some humour during the induction. 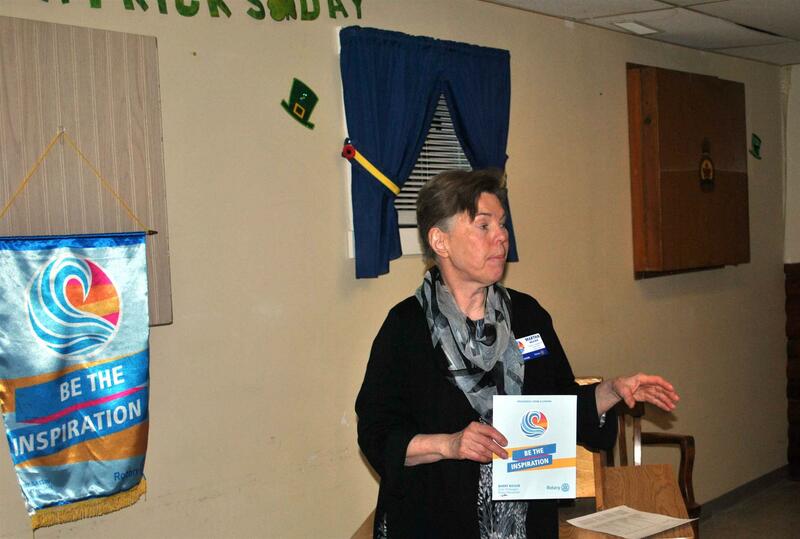 Following the induction ceremony, District Governor Martha spoke to us about the evolving nature of Rotary and conducted a small quiz to see how well we know our community based on information she had gathered from Statistics Canada. The information which was based on the last census came as a surprise to some of our members. Below DG Martha takes us through the exercise.